We have two fantastic and unique city centre sites with a variety of work spaces to offer. Our sites feature shared communal spaces and amenities within a community-minded environment. We specialise in up-cycled shipping container studios as they provide comfortable secure work spaces, which are perfect for start up business'. After years of renting studio spaces ourselves we understand the needs of small business' who are just starting out. We offer flexible contracts and hand pick our residents to foster opportunities for creative networking and collaboration. 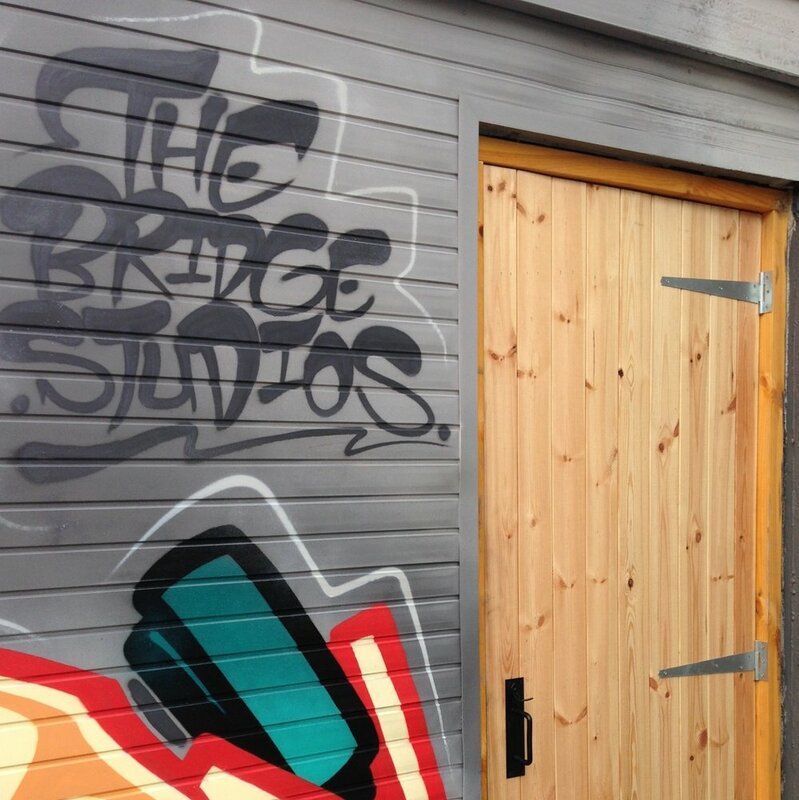 The Bridge Studio has great transport links as it's located next to one of the main arterial routes into Cardiff. This yard space and former welders had been unloved for a number of years but we have been breathing life back into it since October 2017. The Bone Yard is tucked away in Canton five minutes from Chapter Arts Centre. We established this site in 2015 and it is now a thriving community of Artists, Therapists, Creatives and Makers. Come along to one of our seasonal markets. Want to find out what we're up to at the studios? Check out our blog for the latest news, stories and photos.